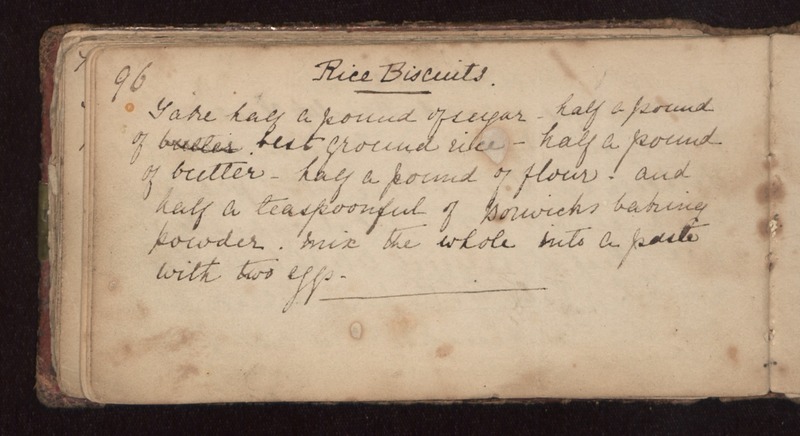 Rice Biscuits. Take half a pound of sugar - half a pound of best ground rice - half a pound of butter - half a pound of flour. and half a teaspoonful of Borwicks baking powder. Mix the whole into a paste with two eggs.